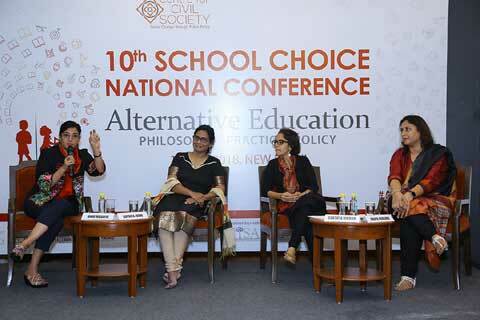 New Delhi: Centre for Civil Society (CCS), India’s leading think-tank advocating social change through public policy, organized the 10th School Choice National Conference (SCNC) on ‘Alternative Education: Philosophy, Practice, Policy’ at Silver Oak, India Habitat Centre. The eminent panel consisted of leading policymakers, researchers, academics and education practitioners such as Sugata Mitra, Professor, New Castle University (UK); Anil Swarup, Former Secretary, Department of School Education and Literacy, Government of India; Padma Shri Geeta Dharmarajan, Founder, Katha; Chandra Bhushan Sharma, Chairman, National Institute of Open Schooling (NIOS); Gitanjali JB, Co-founder, Himalayan Institute of Alternatives, Ladakh (HIAL); Geeta Gandhi Kingdon, Professor of Education and International Development, London University; Vidhi Jain, Co-founder, Shikshantar; Santhya Vikram, Founder and Managing Director, The Yellow Train School; Anju Musafir, Founder, Mahatma Gandhi International School; Supriya Joshi, Founder member, Swashikshan; Deepa Avashia, Questologist (School leader), Riverside school; S Gopalan, Accounts, the Valley School; Ajay Kumar Singh, Associate Professor, Centre for Education, Innovation & Action Research, TISS and Neeraja Raghavan, Founder-director, Thinking Teacher. 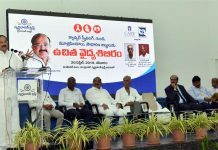 Bringing together intellectuals, industry experts, educationists and research scholars, the conference culminated with the valedictory address of Padma Shri Geeta Dharmarajan sharing her experiential insights and leaving our panellists and participants with enough ideas for some fruitful introspection.